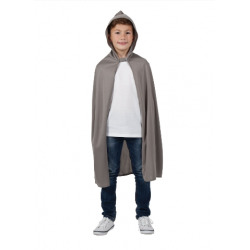 Shroud yourself in magic and mystery with a Halloween Cape or Cloak from our great fancy dress costume range for adults and children. 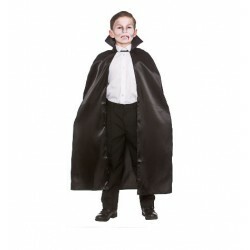 Halloween capes and cloaks are an inexpensive substitute for a full halloween fancy dress costume. 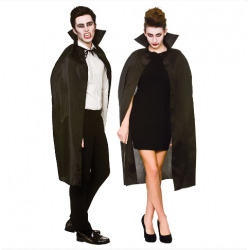 Envelop yourself in a full length Dracula Cloak and become a vision of evil and terror at halloween. 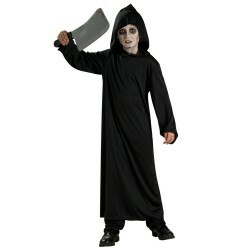 Dressing up as the Grim Reaper is simple and inexpensive as all you need is a black cloak and Skeleton Horror Mask. 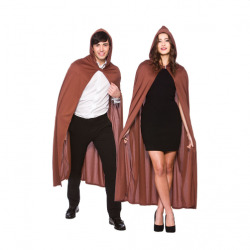 A cape with collar is ideal for Vampires and Vampiresses but why not express your creativity and wear it to complete other mystical images of fantasy. 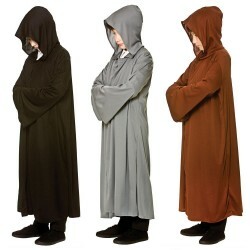 With a little imagination our Horror Robe can transform you into a ghostly apparition of the epitome of doom. Whatever you are dressing up as at halloween, our capes and cloaks will help you to create lots of Scary Characters and inspire many other halloween costume ideas.